National Geographic has published a “Family Field Guide” that lies to children about zoos. Answer: "The animals probably aren’t bored—they’re just resting. Many wild animals, including lions, do spend most of their day chilling out: cooling off in warm temperatures or conserving their energy for hunting or grazing." Personally, I take this as a sign that the zoo system is crumbling, when children are asking hard — but obvious — questions and a major organization dedicated to the environment and wildlife wants you to lie to them. “No matter how innovative the spaces are, seeing wild animals in enclosures can be hard for children,” the post acknowledges. Rather than paint a pretty picture about releasing animals back into the wild (hmmm) and breeding programs (not a pretty picture at all! ), how about some honesty regarding the fact that these animals are caged for our pleasure and, for some people, to alleviate human guilt about the extinction of so many animals in the wild. Children have a lot to teach us about what’s right and wrong when it comes to animals. Maybe parents should be following their lead when it comes to zoos. Ruby Roth writes children’s books that address these sorts of issues. One called “V Is for Vegan” is particularly wide-ranging and goes beyond animals used for food to talk about zoos and circuses and other forms of entertainment that persecute animals. 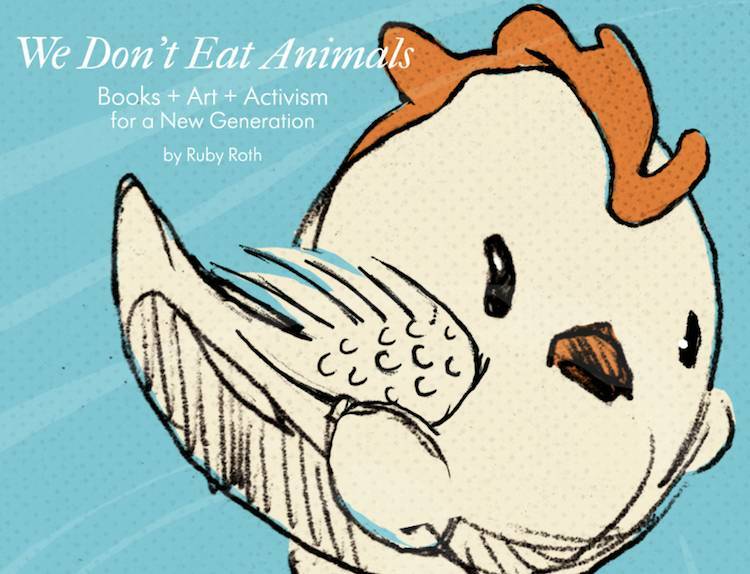 Another of Ruby's wonderful books is We Don't Eat Animals.